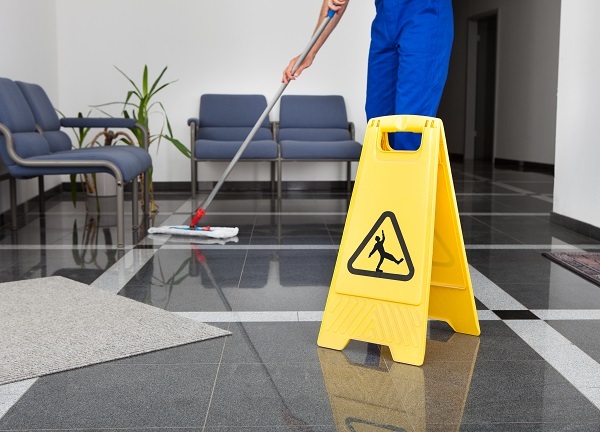 Keep your business clean and dust-free with a dust cleaning service! It is widely known that first impressions mean everything. And in the world of commercial business, first impressions can either make or break a business. In fact, whenever a customer first walks into your place of business, they intend to see a welcoming and clean environment. As a result, controlling the dust within your facility becomes crucial. Often, customers can be very quick to judge the quality of a company if they walk into a dust-filled and dirty environment. Therefore, knowing how to effectively and efficiently control dust and dirt buildup in any commercial building will ensure that customers continue coming back. Here are just a few essential benefits that come from investing in a dust control service for your commercial facility. One of the best dust control products available is floor mats. In fact, getting a floor and dust mat for the entryway of your commercial facility can reduce the amount of dirt that ends up entering your building by a whopping eighty percent (80%). This is because, all of the dirt that ends up entering your commercial building, comes from the outside. As a result, having the floor or dust mat in place gives all the outside dirt a place to go instead of being strewn around the entire building. Therefore, whether your business is involved in the hospitality, healthcare or virtually any other industry, floor mats can really be a useful tool towards reducing the amount of dust and dirt in your facility. It should come as no surprise that microfiber mops are a fantastic solution to a dusty commercial building. In fact, they work to efficiently clean-up dust, while simultaneously eliminating the possibility of cross-contamination when it comes to cleaning. As a result, since they reduce the amount of chemicals and water needed when compared to regular mops, they are an environmentally friendly alternative to traditional mops that can significantly help your business get rid of dust in no time. For over forty years, Lord Baltimore has provided reliable, cost effective dust control services throughout Maryland, Washington DC, Northern Virginia, Southern Pennsylvania, and Delaware. We are an independently owned company that is confident in our ability to provide you with service above and beyond rental industry standards. To learn more about how dust control services can help improve your commercial facility, please contact Joe Bateman at Lord Baltimore by calling 800-292-1224 or visit LordBaltimoreUniform.com. We also handle towel rental for gyms and salons; apron, towels, uniforms and mats for restaurants; and uniform, shop towel, fender cover and mat rental for manufacturing and automotive industries. This entry was posted on Wednesday, September 13th, 2017	at 9:26 am	. You can follow any responses to this entry through the RSS 2.0	feed. Both comments and pings are currently closed.